In celebrity news, Ryan Reynolds and Blake Lively turn up at a Taylor Swift concert. According to EOnline.com, the celebrity couple decided to spend their date night out at the pop star’s concert. Not only did the couple enjoy the concert, but their daughter, James, happens to be in the intro to one of Swift’s songs. The couple were seen jumping and excited to hear the sound of their daughter’s voice. Music is certainly keeping this celebrity relationship interesting. Celebrity couple Blake and Ryan attended a star-studded concert together. What are some ways music can bring you together as a couple? 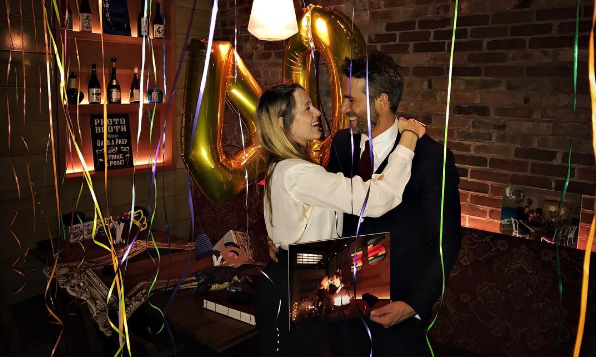 It isn’t celebrity news that celebrity couple Ryan Reynolds and Blake Lively is absolutely adorable. However, what is celebrity news is that Lively unfollowed Reynolds on Instagram and he joked about it on an interview with Smallzy’s Surgery, according to EOnline.com. “Yes, she did. I’m very sad about that,” Reynolds said. “Definitely stinks. It’s a terrible way to find out that I’ve been kicked out of the house, to be honest. Absolutely terrible. I don’t know where rage like that comes from.” But why did she unfollow him? Well, Lively recently deleted all of her Instagram posts and only followed numerous accounts named Emily. She also shared a trailer for her new movie A Simple Favor, where she plays a character named Emily. Seems like this unfollowing is far from personal and just professionally strategic. In celebrity couple news, it seems Blake Lively unfollowed her husband Ryan Reynolds on Instagram. What are some factors to consider regarding social media when it comes to relationships? Taylor Swift and Joe Alwyn. Photos: PRPhotos.com, Landmark / PR Photos. 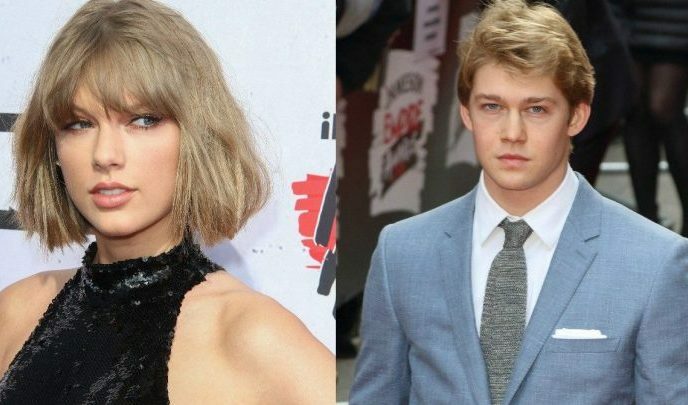 Summer may be winding down soon, but things keep heating up between Taylor Swift and Joe Alwyn! According to UsMagazine.com, the two were spotted on a double date with Blake Lively and Ryan Reynolds in Rhode Island! The pop singer has been MIA posting about her love life on her social media accounts. Swift has been supporting her friends’s new music on her Instagram. Hopefully the singer can release some of her new work soon! Celebrity couple Blake and Ryan seem to enjoy the company of Taylor and Joe! What can you do if your friends do not support your relationship? …Want to see what’s next? Click here to read more. With warm weather here it’s time to party on the beach and play in the surf and sand. But what if you’re feeling like your beach body isn’t quite bikini-ready? There’s a new fitness trend that could help you get outdoors for a sensational summertime in the sun and motivate you to start sculpting some killer abs too. With stars like Ryan Reynolds and Gwyneth Paltrow jumping on the bandwagon, it’s official, the newest celebrity trend when it comes to fitness is wearable technology. 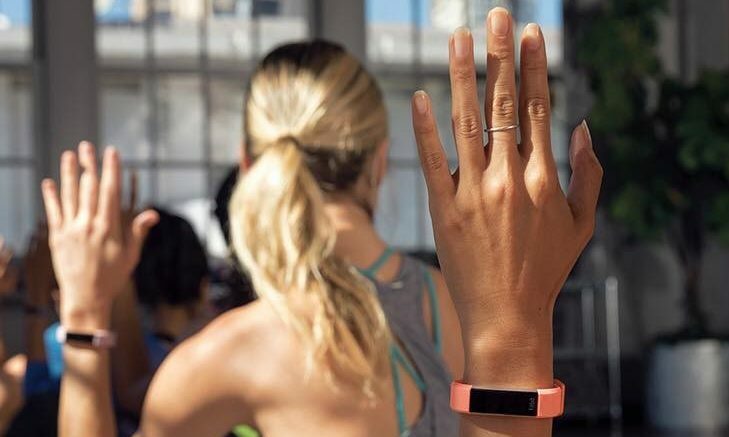 From Fit Bit to Garmin, this trend is everywhere, and we here at Cupid’s Pulse have the the top five celebrity-approved ways to catch up on this trendy tech breakthrough for summer fitness fun. Looking for a great way to stay fit and fab this summer? Check out these awesome pieces of tech to stay on the fitness trend and on track to a red-carpet worthy body this summer! …Get ripped with this wearable tech this summer! Click here for more! This celebrity news has us making #relationshipgoals. What are some ways to make your partner feel special in public? …Want to make your sweetheart feel like royalty? Click here for more! This celebrity couple is making the most of this birthday celebration. What are some special ways to celebrate your partner’s birthday? …looking for more? Click here. Ryan Reynolds and Blake Lively have been “relationship goals” all summer. In celebrity news, Reynolds had a special birthday message for his wife. According to UsMagazine.com, he tweeted, “Just want to wish Billy Ray Cyrus the most special, magical birthday ever. I love you with all my heart. Also, Happy Birthday to my wife.” The celebrity couple have been together since they met on the set of Green Lantern and are now expecting their second child. In celebrity news, Ryan turned to humor for Blake’s birthday! What are some ways to use humor to your advantage while celebrating your partner’s birthday? Blake Lively and Ryan Reynolds are one of the most beautiful celebrity couples out there. It’s only fitting that their celebrity babies would be just as popular. However, this celebrity duo would like their children to have a normal life. 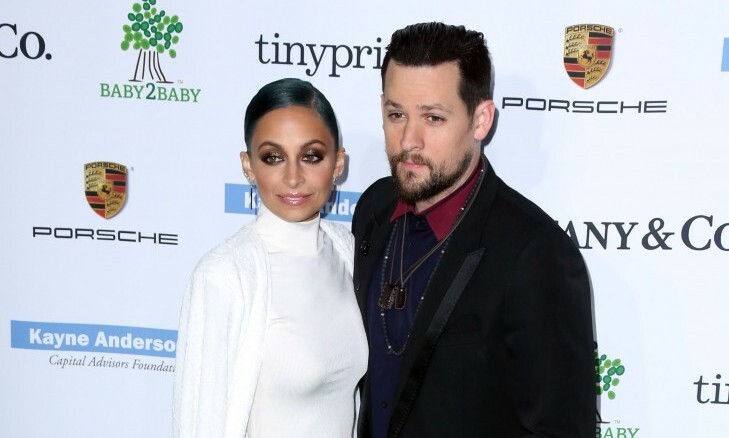 According to UsMagazine.com, both parents have kept their first daughter, James out of the limelight and intend to do the same with their second. Lively says, “Ryan had a nice, normal upbringing, and we want our kids to have the same normal life that we had.” With baby number 2 on the way, it’ll be more difficult to shy away from the paparazzi and celebrity gossip. This celebrity baby news has us respecting Blake & Ryan even more. What are some ways to give your kids a “normal” childhood? There’s nothing as joyful as when our favorite celebrity couples say, “I do.” Celebrity relationships are usually more extravagant when it comes to taking vacations, going on dates and giving gifts. When they decide to have a celebrity wedding, it typically becomes an over-the-top, decadent and luxurious affair. When it comes to love and weddings, nobody does it better than the stars. 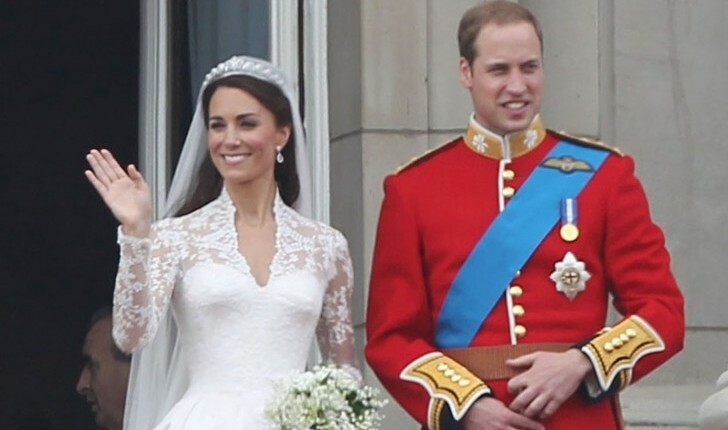 Over this past decade we have seen our favorite celebs tie the knot with all of the pomp and circumstance imaginable. They say that the best relationships stem from friendship. This is all too true for celebrity couples as well. Many celebrity relationships started off as friendships first and develop into more from there. This relationship advice shows us that it’s important to communicate and establish a real connection first. When couples on-screen become real celebrity couples off-screen, we get extra excited. What could be better than falling in love with a movie relationship, and then learning that it is actually a reality? It’s a fairy tale come true when it becomes an actual celebrity relationship! Whether the relationships last or are just a fling, it’s fun while it lasts. In many cases, it’s ended in celebrity weddings and celebrity babies. We can all take a cue and relationship advice from these cute celeb couples who show us love on and off-screen! Celebrity baby news has us gushing over one of our favorite celebrity couples. Blake Lively and Ryan Reynolds are expecting their second child. UsMagazine.com shares that this famous celebrity couple is beyond excited to welcome their second child. Lively expressed that she looks forward to having a large family and that she believes each member will have an effect on the family as a whole. This pair seems like they are ready to take on their second child in their journey of parenthood! This celebrity baby news has us jumping for joy! What are some ways to prepare your relationship for your second child versus your first? What’s not to love when it comes to our favorite celebrity couples? They make us smile, they go on fun romantic getaways, and they get lavish gifts. Some of them even write songs for each other! They always dazzle on the red carpet and thank their lovers in their acceptance speeches when they win awards. Celebrity relationships can give us all major relationship goals. We can look to our favorite stars for relationship and dating advice. Ever look back on past relationships and love and wonder, “What was I thinking?” Don’t worry, celebs do that, too. While classic Hollywood couples like Brad Pitt and Angelina Jolie just seem meant to be, there have been many mismatched celebrity couples that stand out in the Hollywood dating scene. See what 10 unlikely Hollywood couples made our list! …Want to read more? Click below! It seems that even Hollywood couples squabble about their kids! What are some ways to compromise with your partner when it comes to parenting? What’s juicier than a best kept secret? Sometimes we like to keep things to ourselves, and celebrities are no different. With all the celebrity gossip that follows anything anyone famous does, we don’t blame people in Hollywood relationships who like to keep their lips sealed. From secret baby daddies to secret weddings, see what celebrity couples have kept a secret! Blake Lively and Ryan Reynolds’ Baby Gender Revealed: It’s a Girl! Pass out the pink! According to UsMagazine.com, the latest celebrity baby news revolves around Blake Lively and Ryan Reynolds’ new bundle of joy, confirmed to be a girl. Rumors are flying about the pair’s addition, specifically when it comes to the name. A mysterious tweet revealed that the happy celebrity couple named their daughter Violet, but it hasn’t been confirmed. The baby girl came early, but Lively is already back at work with Preserve, her lifestyle website. Now that she’s a mom, we can’t wait to see the new content! The birth of your baby may not be the latest celebrity baby news, but what are some creative ways to announce the gender of your child? This week, UsMagazine.com reported on the interesting Christmas traditions that actress and mom-to-be Blake Lively partakes in each year. Lively said that her family spends the whole day in the house with one another. And, at the end of the day, they all pile into the same bed. Talk about a close Christmas! What are some ways to make new traditions with a new partner?